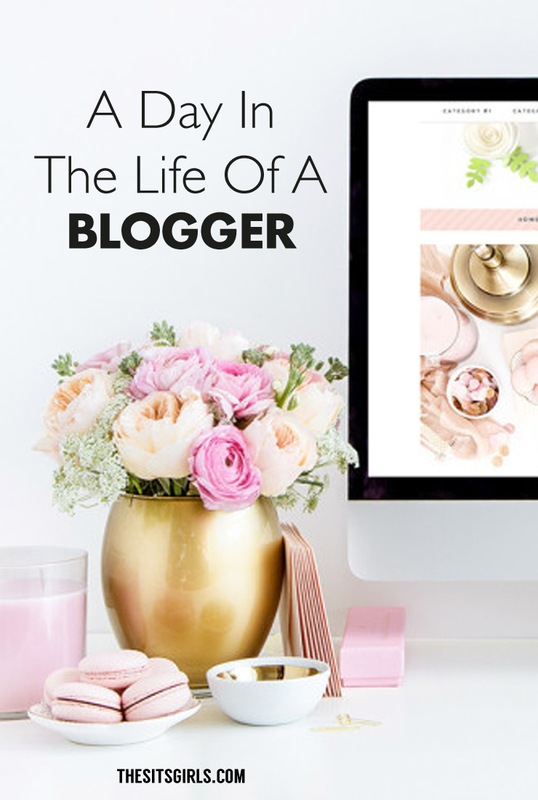 What is is about blogging that causes people to think it’s not actually work? I can’t count the number of times someone has told me that it must be so nice to play around on the computer all day. Or how they wished they could work whenever the mood struck and take time off whenever they wanted. I’ve heard all of that and more in my 4 years of doing this blogging thing. I’ve long since stopped being offended and have started responding with, “Me too! If you ever find a career that lets you do that, please let me know!” Because blogging is NOT that kind of job! I wish blogging was that kind of work, don’t you? That we could just play around for a bit and work when we felt like it, and call it a day? We can dream! And we can work towards that as our long-term goal, but chances are, right now you’re in the same boat as I am. We still have to put in the time to grow and build our sites, to connect with our readers, and – let’s be honest here – to build up our revenue streams so we can support ourselves and our families. I don’t know what a typical work day looks like for you, but this what an average work day looks like for me. 6 AM – I’m up, usually under protest. I head downstairs and put on the coffee. While I wait for the brain power juice to brew I check in on my social media accounts on my phone. I’m just checking notifications, I might respond to a comment or two. Once I have my coffee, I’m back upstairs at the computer. This early morning time is when I work on any courses or challenge I’m currently taking. I’ve found it’s much easier for me to do these first thing. Here are some awesome free courses to get you started. 7 AM – It’s time to trade my blogger hat for my mom hat and get the boys up, fed, dressed, and off to school. 9 AM – Home from the school. I could be home 20 minutes sooner, but I take a long way home to get in some exercise time, which helps to clear my head before I officially start my work day. I check in with my tribe, do one more round on the social media channels (again, just checking notifications and maybe sharing a few quick things), then I spend the next 2 hours working on blog stuff. Depending on the day, this might mean research, drafting a post, working on graphics, creating printables, doing a project, taking photos, or working on site improvements like new landing pages and updating old posts. 11 AM – I spend the next 20 minutes scheduling and sharing to social media, going through my Feedly feed, and checking in with various Facebook groups for share days and other fun stuff like that. On Mondays, I have a weekly meeting with my tribe at 11:20. The rest of the week I go back to blog work. 1 PM – It’s email and comment time! I do a quick scan of my email and delete anything I don’t need. I respond to emails that need a response and take action on any that need action. Once I’m done with my email inbox, I spend whatever time is left going through and responding to comments on my blog or social media accounts. 4 PM – I hang up my blogging hat for the night. It’s time to start the mad dash from dinner to bedtime and the dust bunnies have been left unattended all day. I’m pretty sure they’ve multiplied and stolen half of the socks out of the dryer. 9 PM – You didn’t really think I was done did you? I wish! New ideas have no respect for office hours. I spend the next hour chilling with my husband and making notes for things to do tomorrow, or next week, or writing down new ideas that pop into my head. I also need to spend some time on social media, this time, it’s about interacting and supporting fellow blogging friends. Unless I have a pending project or I had to take off time in the middle of the day, I, for sure this time, clock out at 10 PM. It’s my time to indulge in some fun reading (fiction only) before I head to bed so I can get up and do it all again the next day. I don’t put in a full day on the weekends. Weekends are reserved for planning, scheduling social media, and research/printable creation – things that can easily be interrupted and set aside for time with the family instead. We’re just plain busy – and for the most part, we kind of like it that way! The SITS Girls Facebook Group is a fantastic place to connect with other bloggers, make some new friends, and find help and support if you need it. Speaking of connecting, I’d love to hear about what your work day looks like. Drop us a line in the comments below and tell us about your blogging day. Previous PostFoods You Thought Were Healthy But Actually Aren't!